Michelle Boddy’s tea dance at the end of November is a favorite of ours and we had an excellent time again this year. As always it was a full house in the village hall in Swinderby with people coming from far and wide to enjoy the afternoon of old time dancing. At the beginning of December we managed to get to Summertime’s club dance on the Monday afternoon, it is always worth travelling to Normandy for such an excellent afternoon of old time dancing where we always receive a warm welcome. The first Christmas dance we attended was Culm Valley Merrymakers on the 2nd December. It was a great evening with plenty of old time dancing, fun dances lots of prizes and Audrey’s cup of tea, a great start to the festive season for us. Nigel and Hillary (Hilary with one L) took their duties very seriously and had us kitted out with protective gloves for the progressive dance, wrapped people in cling film for protection and worst of all kept trying to stop us kissing!! Everyone arrived about midday on Monday and we enjoyed lunch together in the Coastal Lounge. On Monday evening there was a full programme of dancing mostly Old Time with a few modern ballroom and classical / sequence dances, a set dance and two fun dances, interspersed with acts: The Three 10 Bobs (our version of the Three Tenors) and a sketch from Bernice and Grahame Baldwin. We had planned for a full day of wet weather entertainment on Tuesday and luckily it rained. In the morning we had a dancing workshop, we had all asked for Charleston lessons and by the end of the morning Grahame Baldwin had helped us with our technique and had even put a short sequence together. In the afternoon Margaret had us all perplexed with a selection of missing word puzzles and ding bats, followed by a beetle drive which was won by Sid. The evening’s entertainment again saw lots more dancing including fun dances the Gypsy Tap, Glen Gary Swing, Blaydon Races, Britannia Two Step, Dashing White Sergeant and Yearning Saunter to Colonel Bogey. There was a set dance and “Our Charleston Sequence” plus lots of Old Time, including Saunters D’Amour and Reve, Bluebell Polka, Viennese Sequence Waltz, Gainsborough and Festival Glides, an Old Time Waltz, ballroom quickstep and the Glen Roy Foxtrot, phew as Nigel said you need some stamina for this holiday. There was a musical interlude from the Flat Cappers (Leicester) singing “My Old Man’s a Dustman and Margaret’s Concert Party performing a Greek Tragedy. On the Final day the weather had improved and we split into three groups Michelle led the first group over the top (taking the coastal footpath to Bridport, Oxford escaped by car for a treasure trail in Bridport and the final group had a walk to and along the beach. The evening saw the highlight of the holiday with a Veleta competition, we had a panel of Judges (strictly style) Sid - Hd. Judge Len, Anne – Darcey, Alison as Craig, Tom a brilliant Bruno and Paul as visiting Judge Donny Osmond. The competitors put a lot of thought into their outfits and were all trying to win the coveted Eype’s Mouth Valeta Cup. The dance programme had lots of Old Time favorites’ plus the Virginia Reel and the group’s favourite fun dance the Chapelloise. The end of October and the beginning of November saw us driving miles East & West. The last day of October we had our first visit to Cove Sequence Club for their “Night at the Movies” dance. Although modern sequence is not our first choice of dancing we attended to support Hilary & Nigel who are great supporters of old time. We enjoyed the evening and were able to join in with the classical sequence that had been included on the programme. Hilary & Nigel had done a great deal of work decorating the room and tables to provide an authentic cinema atmosphere including having an usherette to show us to our seats. The music was provided by David Smith and there was an excellent buffet provided by Cove members. On the first of November we headed West into Devon for the Culm Valley Merrymakers live music evening at Uplowman. Another lovely evening of old time dancing with music by John Westlake who does not regularly play for old time but he is getting used to us and doing a very good job. The usual superb Devon buffet (we don’t only go for the food). The Old Time Dance Society held their Autumn weekend in Bath at the Assembly Rooms. Members danced all three evenings in the Assembly Rooms with over 160 on the Saturday night, members were overwhelmed by the grandeur of the ballroom. The numbers attending are the best we have had at an AGM weekend for at least the last 12 years. Numbers were also the highest we had had for a very long time for the meeting on Saturday morning, I was able to secure this historic building with the very generous support of Bath & North East Somerset Council and we were honoured that Councillor Martin Veal Chairman of the Council was able to attend. He welcomed all our members to the City and explained, when completed in 1771 the ballroom was described as the most noble and elegant of any in the kingdom. He went on to say that we graced the ballroom with our style of dancing. On the Friday evening the leaders were Sue and Alison Kellie from Bath and they got the weekend off to a great start with their programme. It was an honour for me to introduce Sue, the person who introduced me to Old Time Dancing. The Saturday evening at the Autumn weekend is led by the Chairman of The Old Time Dance Society and Hazel and I were very proud to lead in our home town. The Sunday evening was led by our President Fred and Joyce Boast. All three evenings there was a good atmosphere under the glittering chandeliers with three good programmes of Old Time Dancing. We had our friends Eddy & Sue from Leicester staying with us, because Eddy was celebrating his 70th Birthday on Saturday the 18th. We were able to take them with us for the Friday evening dance at Uplowman in Devon, with Jean & David Houghton. The music was by John Westlake and the dance was well supported on a very wet blustery evening. It was nice to meet up with our friends from Devon & Cornwall. There was the usual good cup of tea from Audrey and an excellent supper was enjoyed by all. There next dance with live music is Friday May 15th at Uplowman, with David Ingley. On Saturday we were joined by our friends Terry & Dianne for a Birthday lunch on Eddy’s 70th Birthday and afterwards we all travelled down to Normandy. Joyce, Richard, Hilary & Nigel of Summertime Dancing were aware that it was Eddy’s 70th Birthday and when we arrived the hall was decorated with banners and balloons. Dianne, Terry and ourselves had bought Birthday cakes as presents for Eddy making sure there was enough for 80 as the dance is always very well supported as it was on Saturday. He received various cards and gifts from friends at the dance and to celebrate his Birthday Eddy and Sue were invited to lead the Balmoral Blues and to make them feel at home we all called out the steps in the style of Leicester. A very varied programme including a Mazurka and Cuckoo Waltz, dances from the 1950s, 60s and a few of the newer Classical dances all accompanied by the excellent music of David Last. A big thank you to Joyce, Richard, Hilary and Nigel for helping to make the evening special for Eddy. Due to the change of venue and our date moving to the second Friday of the month in October we were able to take a short break in Norfolk at the beginning of the month. It gave us the opportunity to attend Brian Faulkner’s dance at Hemsby on the Saturday that we have been trying to get to for some time. It is nice to meet up with members in different areas of the country where you often see a different variety of dances, we enjoyed watching the Tango Quadrilles danced expertly by three sets. Also on our way home on Monday we visited Jane & Robin at the Valentines Club where we danced the Waltz Louise as a progressive dance and enjoyed joining in with Handel’s Quadrilles which we have never seen before. We finished our dancing in August by visiting Dorchester, Leicester St Anne’s and Ash Thomas in Devon. After a two week break from dancing, while we were on holiday, we got back into the swing by attending Joy & Geoff Codd’s tea dance at Eastcombe Gloucester. Joy & Geoff decided to move their Saturday old time dances to Sunday afternoon tea dances, and this has proved very successful. As well as a good afternoon of old time dancing Joy and her helpers provide an afternoon tea of sandwiches and homemade cakes. Their next tea dance will the 30th November. On the following day we travelled to Summertime Dancing in Normandy for their Monday afternoon club, where we are always assured of a warm welcome. 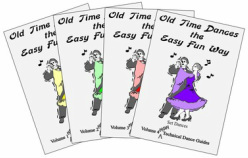 We enjoyed the programme of old time dancing and we are now looking forward to their Saturday night dance on 18th October with David Last. We finished the month at a local dance with Keynsham old time dance club. August has been a busy month travelling and meeting up with friends but we have managed to fit it in some dancing as well. At the beginning of the month we were pleased to have Sue and Eddy Hamm staying with us for the weekend, they came to our Friday dance on 1st August. On Sunday we took them to Bristol and met up with Dianne & Terry Harris and Anne & Sid Roberts, who were staying with them for the weekend. We started our walk around the historic parts of Bristol at the waterfront and met a friendly Tiger on the way (he was advertising a local fun run). The following day we all travelled to Normandy to Summertime’s Monday club where we had our usual friendly welcome from the Summertime members. The following week we travelled up to the Committee meeting on Saturday and after the meeting travelled on to the Peak District to meet up with Dianne & Terry for a weeks holiday. We took the opportunity to visit Kath and Keith in Sheffield for the Sunday afternoon dance. It was great to meet up with dancers from that area and we enjoyed another friendly afternoon of Old Time Dancing. The holiday cottage was in the village of Millthorpe not far from where Kath and Keith live, they invited us to join them for a meal after the dance. We very much appreciated the lovely meal and their hospitality and had a pleasant evening in good company. On the 14th June Bath Old Time Dancers were joined by friends and guests from around the country, including Dave & Norma Stevenson from Canada, to dance to the music of David Ingley. With over 80 attending it was a full house and the hall quickly filled up for the 7pm start, with dancers greeting old and new friends some they have not seen for some time. Hazel & Paul started the evening with the Regis Waltz and the programme was a mix of traditional and one or two classical old time dances. Everyone joined in the progressive dances and the set dance was the Quadrilles, this was called by Hazel for the first time and it appeared to be appreciated by the dancers who gave her a round of applause for her first attempt. During the interval a buffet was provided and the second half of the evening started with the Winter Waltz led by Hazel & Paul. Dancers continued to dance the remainder of the programme despite it being a very warm evening. We are grateful to all those who attended and all the help we received, hopefully this will become an annual event, we have booked the hall for next year, 13th June 2015. We started the month with a visit to Summertime Dancing for the Bryan Smith annual tea dance, now in its successful third year. This popular annual event is made special because of the use of Bryan Smith’s music all played from vinyl records which produces a different atmosphere than CDs. Along with a friendly atmosphere, Joyce & Richard’s excellent leading and Richard acting as compere for the afternoon all add to a fun packed old time event. We enjoyed an evening with Mike & Pat Cooper at Leicester Glenfield, they taught the Pink Lady Waltz, for those who had not danced it before, ready for the Ball of the Year. As usual a friendly evening of old time dancing with plenty of banter and laughter. The following Friday we visited Devon for the Culm Valley club for their live music night with David Ingley. A good programme of old time dancing with three sets for the Lancers. We managed to fit in a flying visit to Summertime dancing in Normandy, in the midst of all the Ball of the Year preparations, for their Monday club dance which is always well supported. We are now looking forward to The Old Time Dance Society 30th Ball of the Year in Southport and visiting our friends Bernice & Grahame Baldwin on route. This gives us the opportunity to dance in the Blackpool tower ballroom. On the 28th March we attended the postponed Valentine dance at Uplowman with Malcolm Wilce, now recovered from his cataracts operation, providing the music. The programme was compiled from members’ requests, it was an enjoyable evening including the usual excellent Devon supper. The following day we travelled to Adeyfield Hemel Hempstead for Brian Faulkner’s old time dance. Brian was assisted by Mavis and Pam to lead the evenings programme. It was another enjoyable evening of old time dancing in good company. The following weekend at the beginning of April we made our first visit of 2014 to Leicester St Anne’s for their Sunday afternoon tea dance. John Lincoln provided his music for the afternoon and Anne led with a variety of partners. Another warm welcome and a lovely afternoon of old time dancing. We are pleased to announce that “The Southern Ball” of Traditional and Classical Old Time Dancing will take place on the 18th July 2015. Music will be provided by David Last and the MC will be Richard Purcell. The Leaders will be Hazel & Paul, Richard & Joyce and Hilary & Nigel. Its February already the year is flying by we only just seemed to have finished Christmas dances and now we are gearing up for Valentines. The year started on a high at Summertime’s dancing holiday in Bournemouth and we have danced locally at Bath and Keynsham. We also attended the monthly dances at Ash Thomas in Devon in January and February, we had to travel through heavy rain and wind for the February dance but it is worth it for the very warm welcome we always receive in Devon and for Audrey’s cup of tea the best in the west. Further afield we travelled to Leicester Glenfield, which for us is a 285 mile round trip, for the February dance and having checked the internet for road closures we set off thinking we would be O.K. on the way home, however, the highways agency decided to close part of the M42 once again making it a very long journey home because of detours. The motorway closures are making it difficult to travel around especially in the winter months. On one of the dry sunny days at the beginning of February we visited Normandy on a Monday afternoon where we enjoyed another programme of old time dancing. Richard taught the County Gavotte 2014 which seems to have gone down well at most clubs so we have included it in our programme for the March dance. We hadn’t been to East Grinstead for some time so when the weather forecast indicated the storms would clear by midday we took the opportunity to visit them at their new venue St Mary’s Church hall. An enjoyable evening of old time dancing and catching up with members from East Grinstead area.